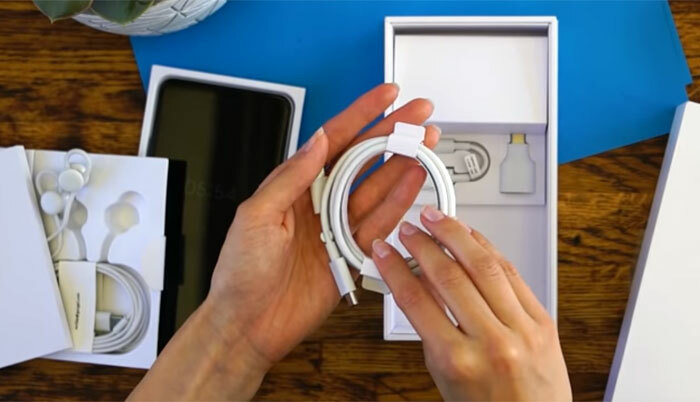 Just ahead of the weekend what appears to be the Google Pixel 3 XL was comprehensively revealed in a high quality unboxing video. Russian YouTube channel 'In DIGI' shared the video in which we see a petite Russian lady unbox the rather large handset, show us the smartphone packaging and included accessories, then go on to use the phone for a few selfies and photos. Slashgear comments that the Google Pixel 3 XL has been very thoroughly leaked up to this point that there will be "nothing left" to reveal when it is eventually launched. Some of the photos from previous leaks look like stills from this video. At the start of the video you can see the contents of the box. Alongside the phone, there is a set of USB Type-C headphones, some documentation and warranty leaflets, a USB Type-C to USB Type-C charging cable, a USB Type-C to headphone socket adaptor, and a USB Type-C 'Quick Switch Adaptor' which is Google's name for an OTG adapter (for easy data transfer between mobile devices). Lastly we see a modestly sized Euro-plug power brick. Turning on the device we can see the Android Pie UI, then the device information screen, followed by various angles of the hardware - notch, cameras, front and back, hardware buttons, and fingerprint sensor. 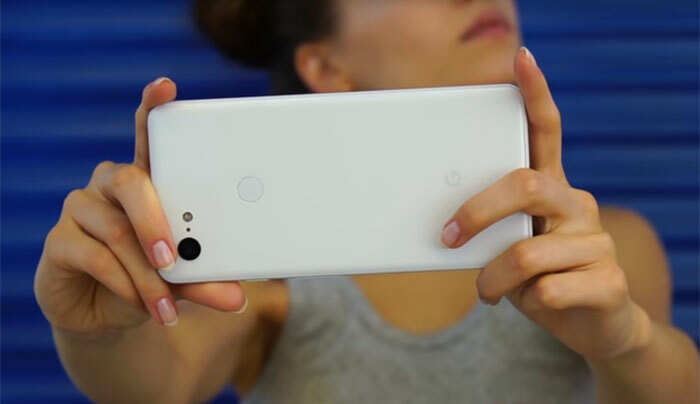 With this white model Pixel 3 XL we can see that it looks like glass front and back but there is a slight texture change or colour change that can be seen between the rear camera and flash section and below, dividing it from the fingerprint section. Previous leaks have pointed to the following hardware specs: a Qualcomm Snapdragon 845 processor, a 6.2-inch OLED display with a 1440x2960 resolution, 4GB or 6GB of RAM, and a 3,430mAh battery, two front cameras, and a single rear camera with flash. The device will support wireless charging. The Google Pixel 3 and Pixel 3 XL are expected to be launched in October. Nice fat boi notch. No thanks Google. Looks like an Essential PH-1 but with with a bigger notch and QI charging. I'd be interested if it had a removable battery though. I mean, if your phone has a “6.2-inch OLED display with a 1440x2960 resolution” why does it need a notch?